This one-of-a-kind kids science kit allows young scientists to use their smart phones or tablets for educational purposes - do science experiments! 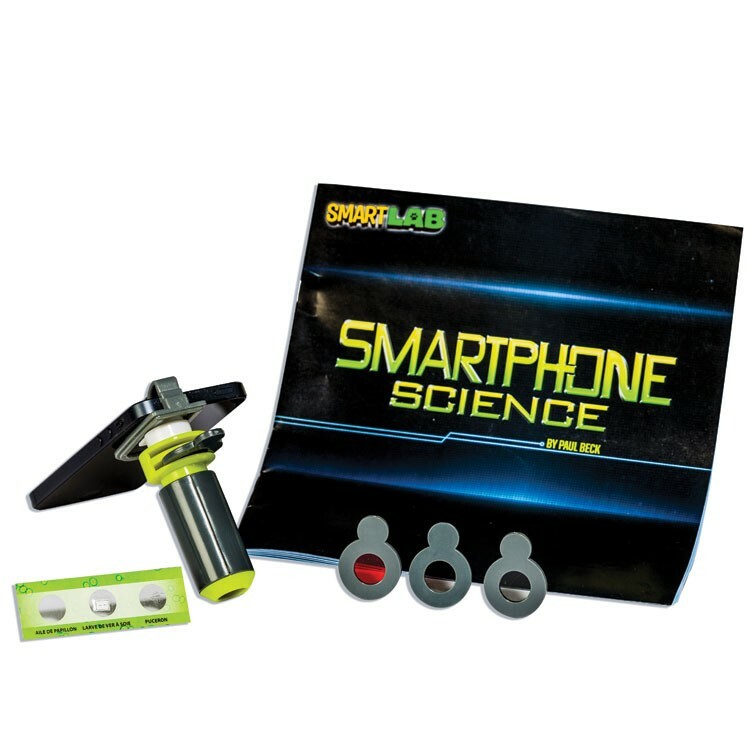 Turn your smartphone or tablet into a high-powered science machine with the Smartphone Kids Science Lab by Smart Lab! 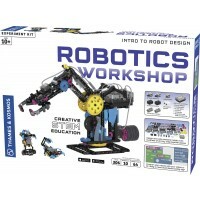 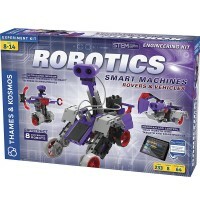 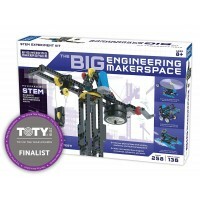 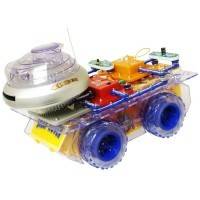 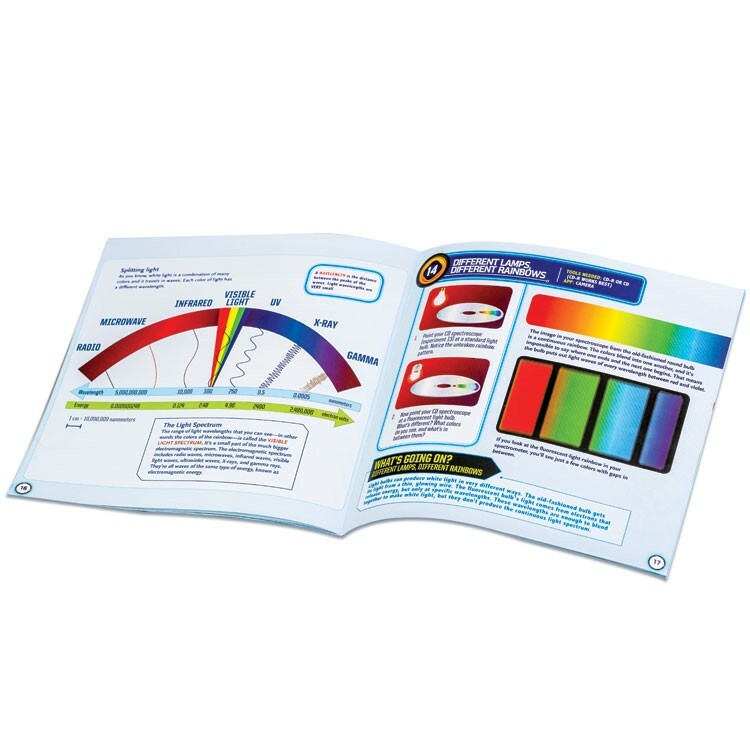 This kids high tech science kit allows young engineers to perform science experiments with the included materials along with their owns smart phones or tablets. 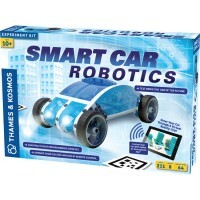 Older children will love to experiment with the cool devices and investigate touch screen technology, explore your phone's GPS unit going on a scavenger hunt with it, shape microscopic images, and create and read secret messages. 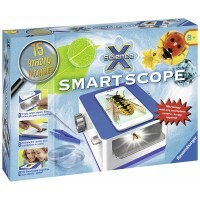 The kids electronic science kit contains a universal smartphone mount, 4 filters, a microscope with LED, and a slide with 3 specimens. 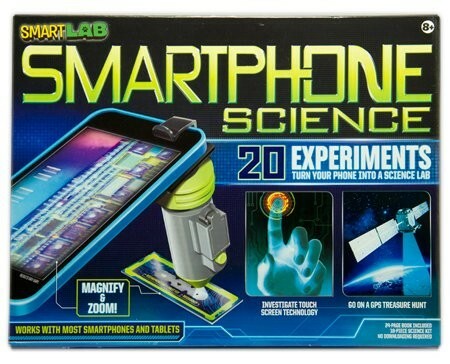 Follow the enclosed instructions from the Smartphone Kids Science Lab from Educational Toys Planet and explore electronic science with your own smartphone or tablet! 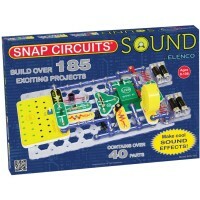 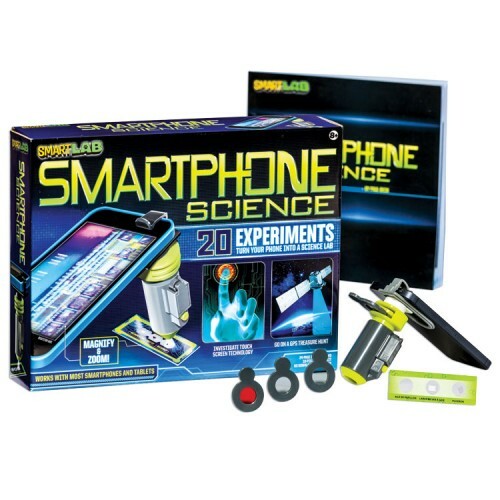 Dimensions of package 2.25" x 11" x 8.5"
Write your own review of Smart Phone Kids Science Lab. 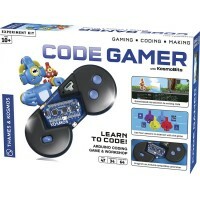 Rating: 3 Okay by By A customer I have to admit I didn't get this for a child, so I don't know how it is to supervise anyone with this. 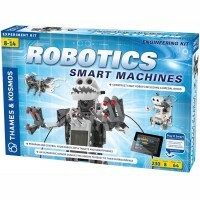 I am a scientist and I thought this might be fun or something I could use doing programs for younger kids. 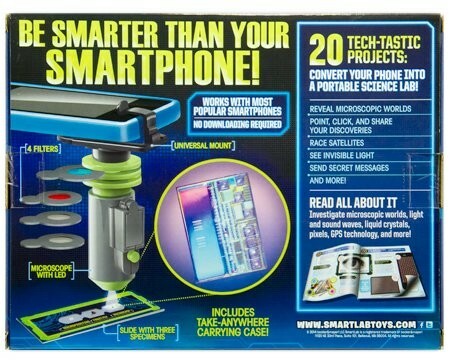 The quality just wasn't there, which is disappointing. 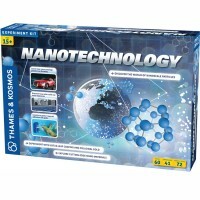 The kit was nice as were the suggested experiments. 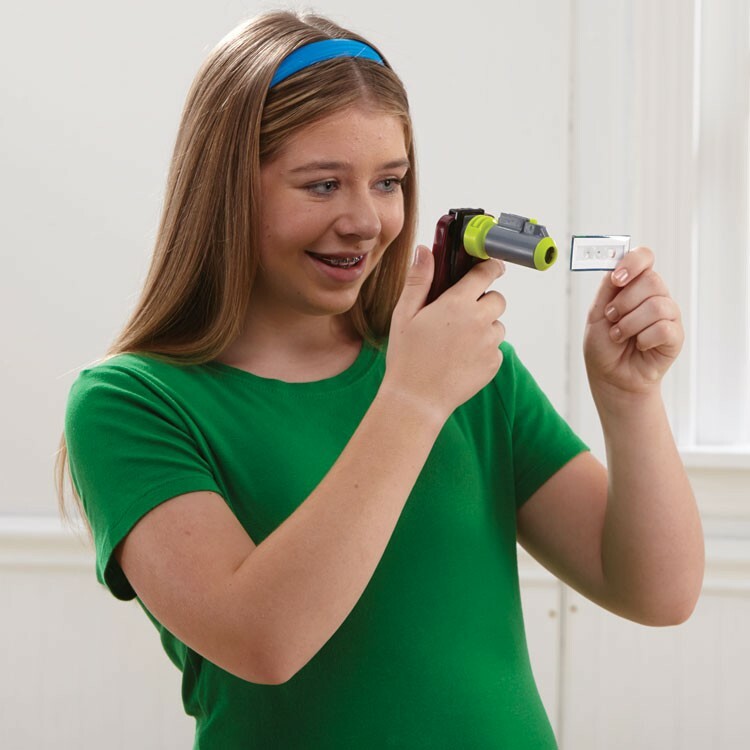 I would think kids might have some fun with it.